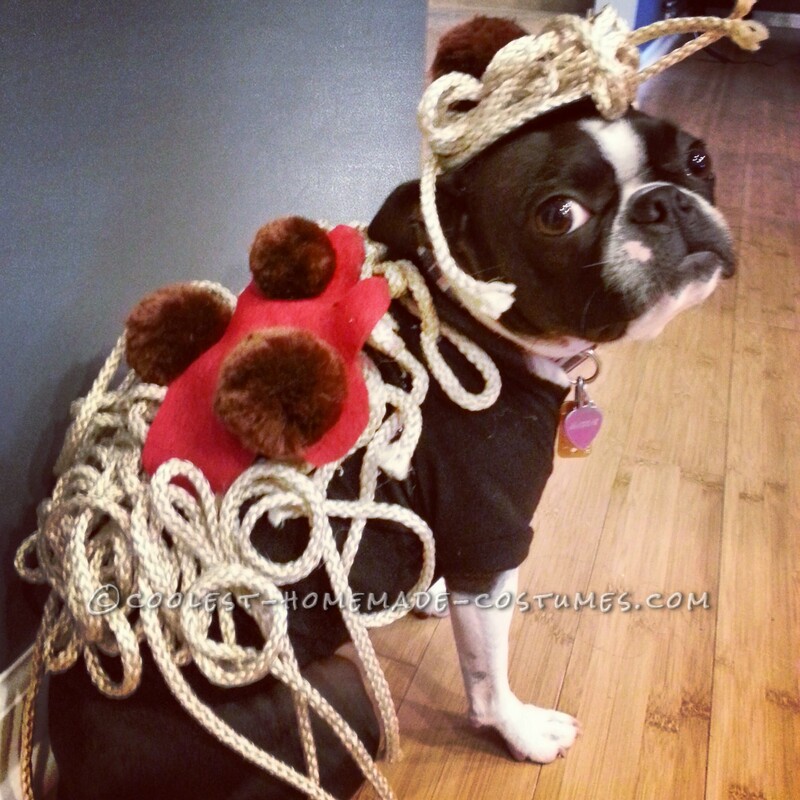 Maddie the Boston Terrier as "Spaghetti & Meatballs"
This costume was made with love! Maddie is wearing a shirt I bought from a local pet store. I just cut up the middle and sewed on Velcro so her costume is easy on and off. The strings are hot glued on to look like noodles as well as the cotton balls and spaghetti sauce.